Chancellor George Osborne has announced that mortgage interest tax relief for buy-to-let homebuyers are to be restricted to basic rate of income tax, currently 20 per cent. He says the measure, which will address “unfairnesses in property taxation”, will be phased out “gradually” from 2017. “Buy-to-let landlords have a huge advantage in the market as they can offset their mortgage interest payments against their income, whereas homebuyers cannot. And the better-off the landlord, the more tax relief they get. For the wealthiest, every pound of mortgage interest costs they incur, they get 45p back from the taxpayer” Osborne told MPs. “All this has contributed to the rapid growth in buy-to-let properties, which now account for over 15 per cent of new mortgages, something the Bank of England warned us last week could pose a risk to our financial stability. So we will act – but we will act in a proportionate and gradual way, because I know that many hardworking people who’ve saved and invested in property depend on the rental income they get” he said. This is only one of a number of property-related measures introduced by Osborne in the Budget, but undoubtedly the most controversial. 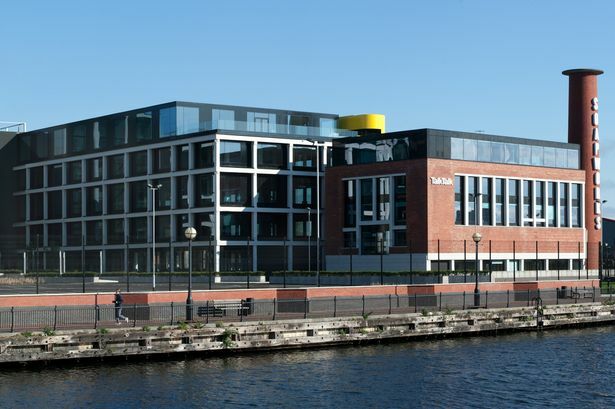 “This a major blow to a sector that is heavily reliant on private investors and who provide a crucial supply of property to the private rental sector” says Nick Leeming, chief executive of Jackson Stops & Staff. “We were disappointed to hear of the reduction in tax breaks for buy to let investors as this will discourage new landlords from entering the sector and will result in a lack of stock. This will inevitably lead to higher rents as at the end of the day landlords are business people and will need to compensate for this” says Glynis Frew, managing director of Hunters Property Group. However, some market analysts feared worse. “There had been fears among landlords that relief on mortgage interest payments for buy-to-let landlords would be completely abolished so while the changes will hit higher-rate taxpayers – retaining mortgage interest relief but restricting it to basic rate tax – it is not as bad as it might have been” says Adrian Anderson of property finance specialists Anderson Harris. Short-lets – including by those undertaken by Airbnb-style amateur landlords – received a boost because the Chancellor also announced that after 18 years the Rent-A-Room tax-free earnings limit would rise from £4,250 to £7,500 per year. Tens of thousands of first-time buyers are set to benefit from a £26m windfall for affordable homes. Communities Secretary Greg Clark announced the cash boost as he visited Manchester. It is part of the government’s national Starter Homes initiative. The cash will support architects, councils, housing associations and developers in creating a new range of homes aimed at first-time buyers. It will be used to acquire brownfield sites for new houses, with cash from the sales of these sites going back to the public purse. The government is a providing an additional £10m for local councils to prepare more brownfield sites for development. It is part of the government’s pledge to build 200,000 starter homes by 2020. Mr Clark was visiting The Point at New Islington and Louisa Street in Openshaw to see how developers are using new designs to attract young buyers. Greg Clark said: “This competitive fund will build homes that will clearly show the wide range of new properties that will be available to first-time buyers as they take their first step on the housing ladder. The government says house building is a key part of its long-term economic plan, with almost 800,000 extra homes already delivered since the end of 2009. It says its new Housing Bill and proposed national planning policy changes will ensure hundreds of thousands of starter homes will be built. It plans to bring forward proposals to ensure that every reasonably-sized housing site includes a proportion of starter homes. Starter homes will be offered exclusively to first-time buyers aged under 40 with a discount of 20 per cent on market values. Housing Minister Brandon Lewis said: “Helping young people achieve their dream of home ownership is a real priority for this government. We’ve already helped more than 100,000 households buy a home through our ground-breaking Help to Buy scheme and Starter Homes are another game-changer. A project to build 172 new homes in Hulme has been approved by council planners. 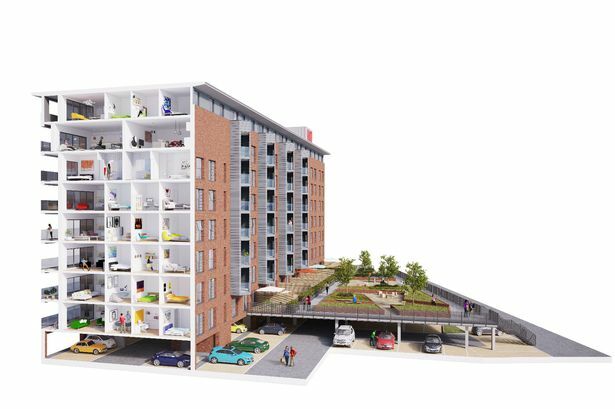 A mixture of two-bed apartments and three-bed townhouses will be built across the two sites ‘Hulme Living’ after planners gave the green light to the scheme. Building work on the new homes, which will be available for rent, is due to begin in the Spring on Royce Road and Leaf Street. The new homes will be delivered by One Manchester and is the group’s first new build scheme. Dave Power, chief executive of One Manchester, said he is delighted that the two planning applications have been approved by Manchester City Council. He said: “Hulme Living is an extremely exciting project for One Manchester as it gives us an opportunity for the first time to build new market rent homes for people in the city. “The project will bring direct community benefits including employment opportunities, apprenticeships and supply chain opportunities for local businesses. All revenue we make from the homes will be ploughed back into our work in the local area and our communities across Manchester – demonstrating our ability to find a new and better way to deliver the new homes our city needs. The new homes on Royce Road will consist of 67 two-bedroom apartments designed by OMI architects and will be situated on a corner site where Royce Road meets Chorlton Road. The development on Leaf Street will have 105 new homes adjacent to Princess Parkway. Designed by Mecanoo, the site will offer a mixture of two-bedroom apartments and three-bedroom townhouses. All revenues earned from the new homes will be reinvested back into community development programmes, including future housebuilding, to help improve the lives of people living in One Manchester’s communities. A building contractor for the work is expected to be announced in the next few weeks. Information about Hulme Living is available at www.hulmeliving.co.uk and will be updated as the development progresses.